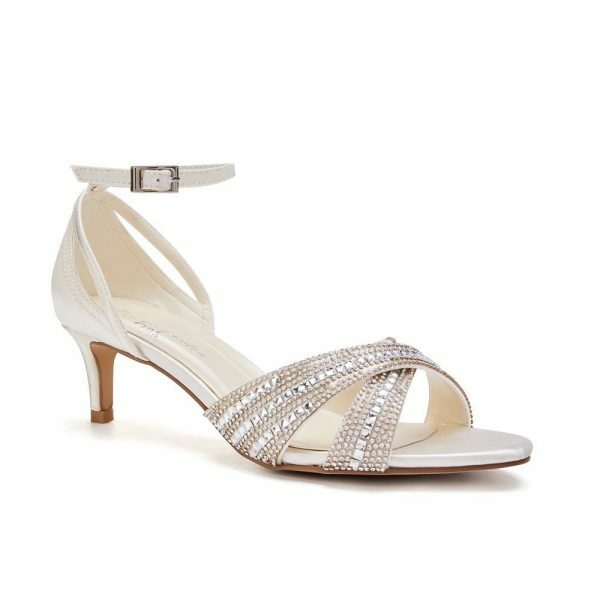 Seva - Low Heel Ivory Satin Sandal Available in sizes 3-8 Standing at a mid height of 5.5cm, this shoe will be better suited for women you preder a lower heel. 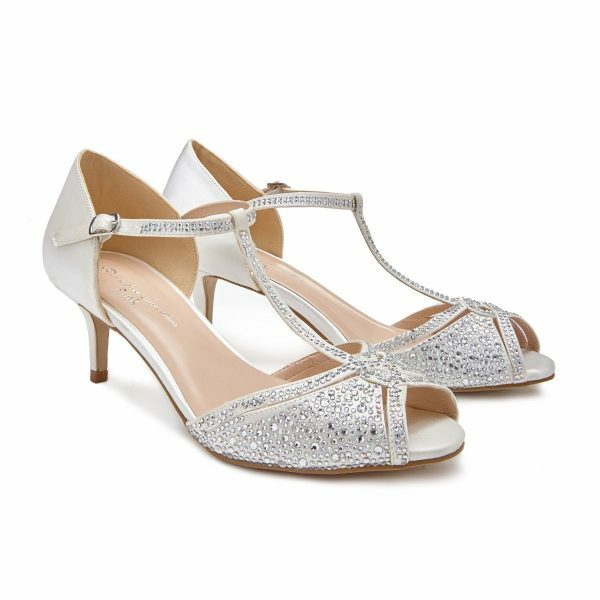 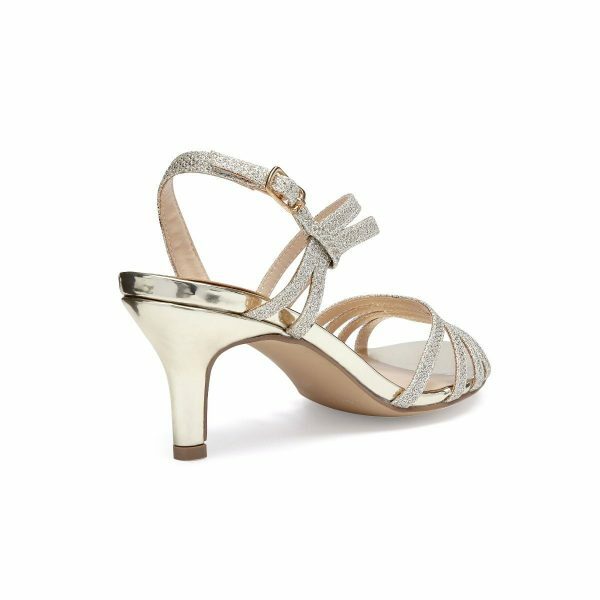 The T-bar gives added support and comfort and the glittery detailing will add a bit of sparkle to any outfit you choose. 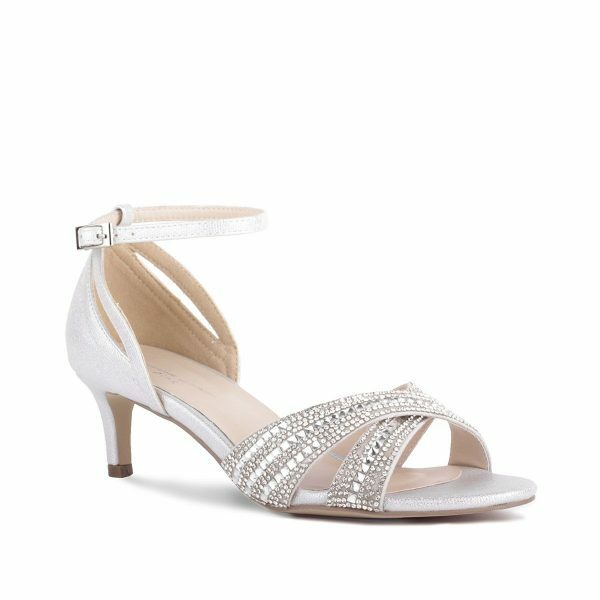 Heel height 5.5cm / 2.17"
Sabrina - Ivory Low Heel Crystal Cross Front Strap Sandal Available in sizes 3-8 Looking for an easy-wearing shoe for your daily routine? 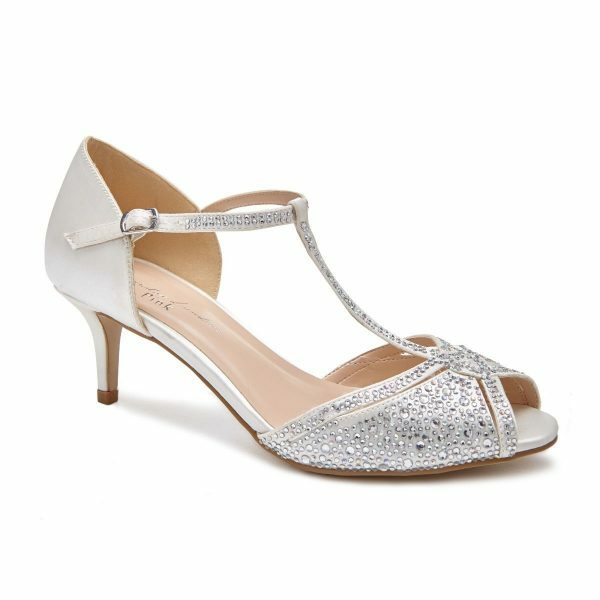 Sabrina will be your girl! 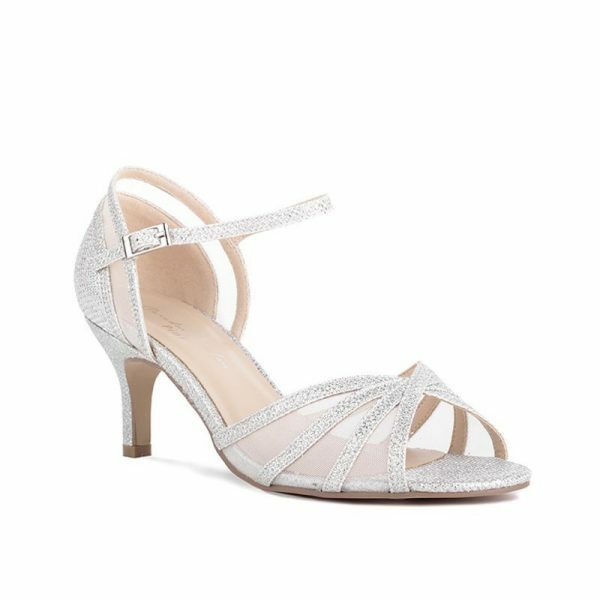 The perfect companion for an evening dressed-up outfit. 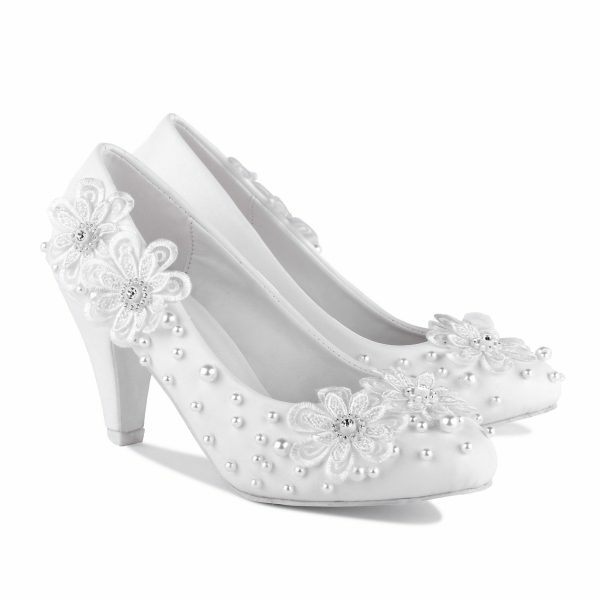 Heel height 5cm / 1.97"